Ariana Grande returned to Manchester, England, yesterday to perform alongside a bevy of other artists at the One Love Manchester concert, a benefit to help victims of the Manchester Arena bombing. An array of artists reached out to share their support, including Twenty One Pilots and Halsey. Watch the touching video below. 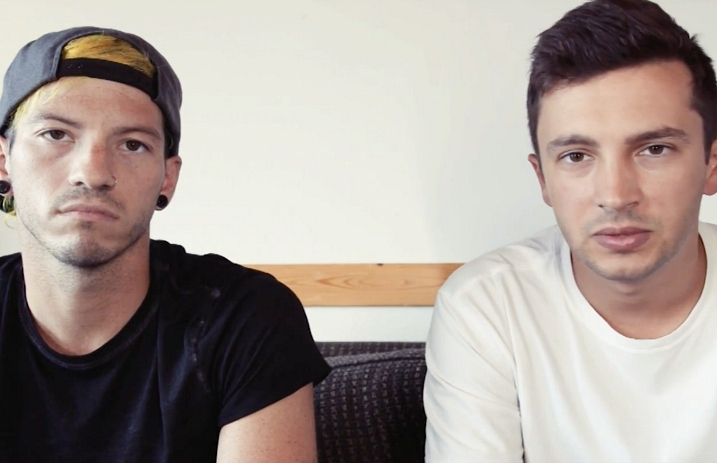 “We're Twenty One Pilots, here to tell you that we absolutely stand with you tonight. The peace and comfort that was taken away lives on tonight in this room through the spirit of live music,” Tyler Joseph says. “Since the beginning of our journey, music venues have become a second home to us, we felt first hand the power of live music in the UK and in this city, Manchester. We know nothing's ever going to take that away. We stand with Manchester,” Josh Dun says. And the video includes messages from artists all around the world, including Halsey, Demi Lovato and more. “Music is not a place for fear. Music is a universal language the whole world speaks. It doesn’t matter what faith, what race, what class, what life experience,” Halsey says. During the One Love Manchester event, Ariana welcomed artists like Coldplay, Oasis' Liam Gallagher, Mumford and Sons' Marcus Mumford, Pharrell Williams, Katy Perry, Justin Bieber and Miley Cyrus. The benefit helped raise a reported “$2.6 million in donations over a three-hour period for a special fund” that specifically assists victims of the attack. This is in addition to the $12.9 million already raised for the cause.